We went out for a walk. It was fine, nice, blight day. 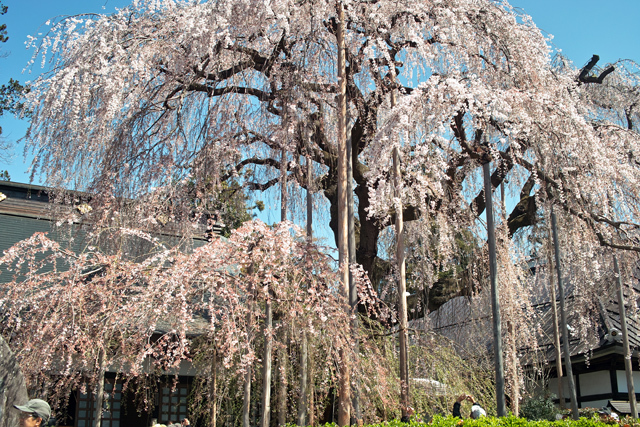 Up to the hill stood a cherry which is estimated to have been there for four hundreds years. She looked elegant. Down to the plain spread peach trees with white mountains in the back. It was certainly the best place to be on earth at least at that moment. We have been to Yamanashi prefecture to see a friend of mine for advice. It rained heavily when we left home and got windy, too, as we went through the mountainous area. The wether was recovered as we approached to our destination and it was fine finally. 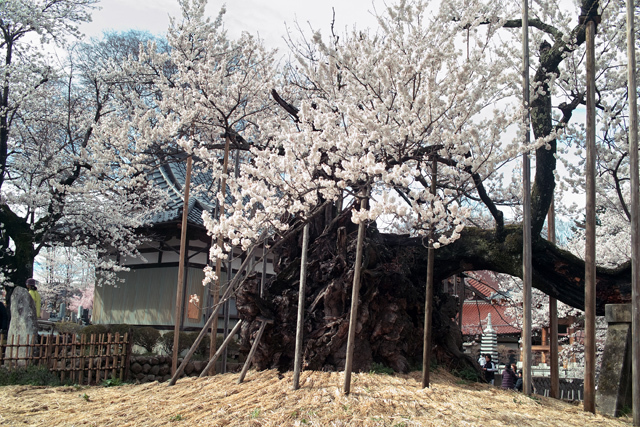 We dropped in an old Buddhist temple to appreciate an very old cherry tree, two thousands years old according to a theory. The tree was certainly special. I felt a spirit. 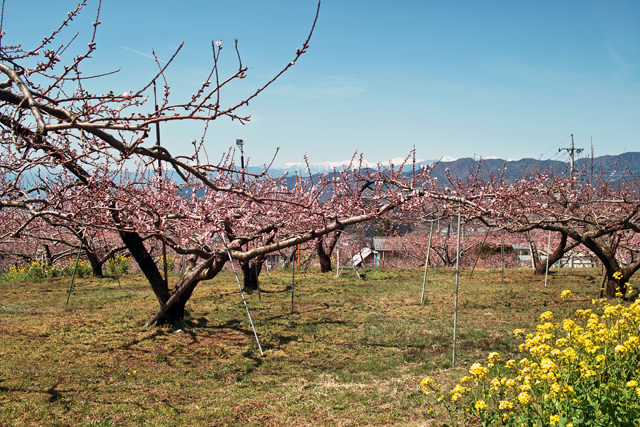 Having visited the temple, we dropped in a field with peach trees, most of which were blossoming half. Well, I loved the pastoral landscape. Spring is nice anywhere, but the place was something special.